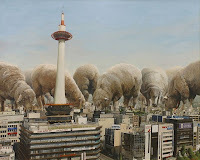 Artist Shuichi Nakano was born in 1966 in Hokkaido, Japan, and stayed in Germany from 1991-1992. 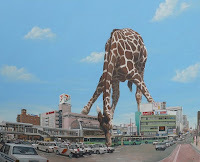 He now lives in Yuzawa, Akita Prefecture. 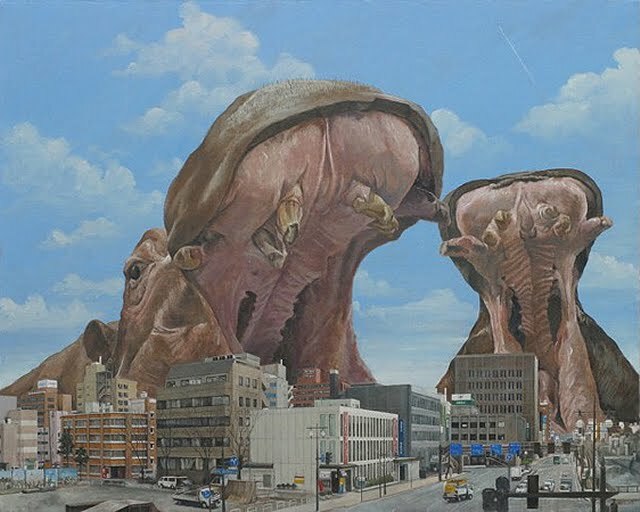 His works make natural and city scenes meet and collide in imagination, seemingly accidental, tending to question the necessity of the whole planet to urbanization and modernization. 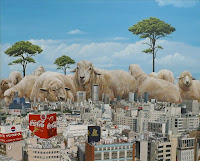 The images are from his Searching for Paradise series. 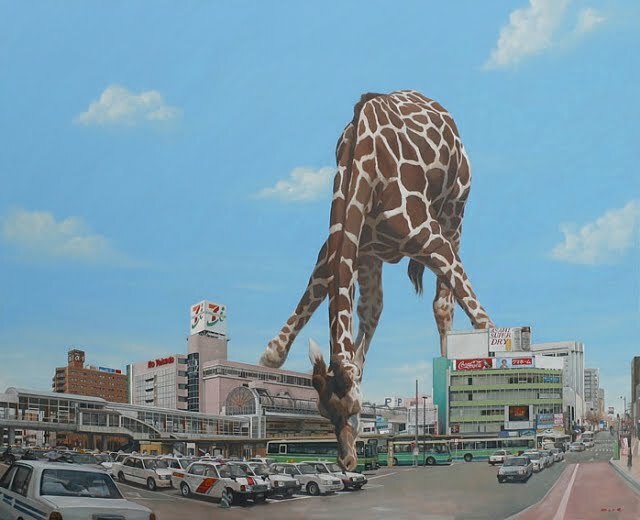 All the paintings feature enormous animals interacting with the Japanese cityscape. 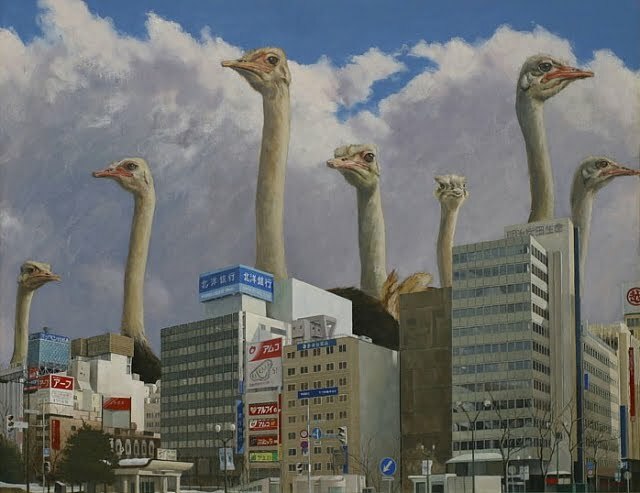 Most are relegated to the background in a two-dimensional manner that draws attention to the juxtaposition of the scales; these are not Godzilla-style giant animals running amok, rather there is something wrong with their scaling. Or, perhaps, the wrong-ness lays with the city. The concept is sad because these beautiful creatures have no where to go because people are destroying their homes. 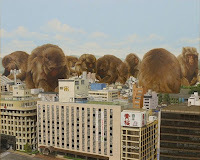 The animals in the ads therefore take refuge in the city, lounging on top of buildings. 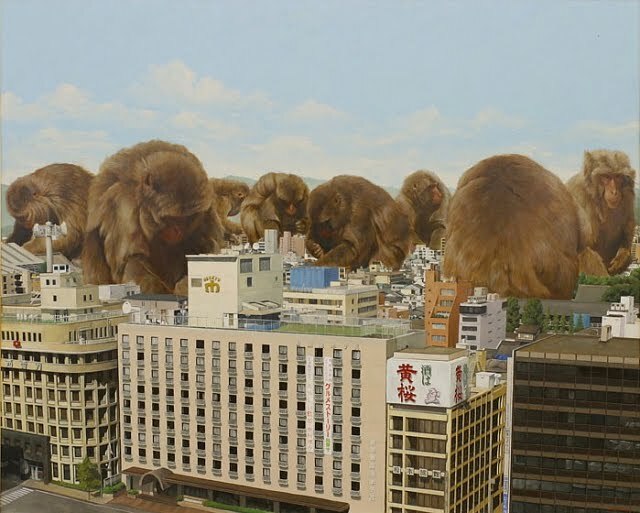 The Shuichi Nakano paintings are extremely detailed, right down to the itty-bitty windows in all the buildings. The animals all look so life-like as they graze in the city streets. 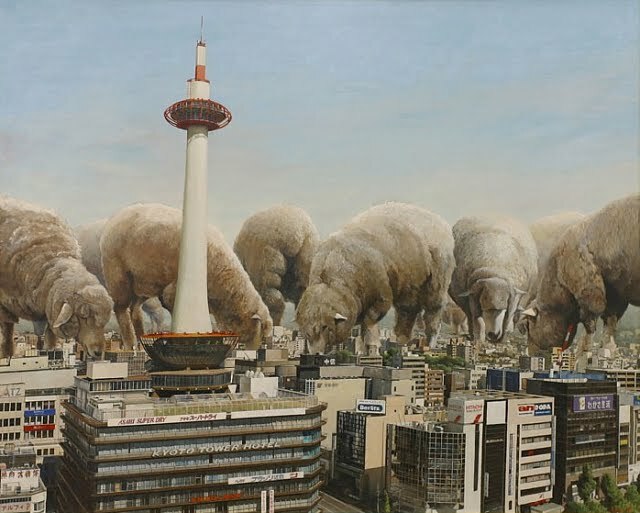 I really enjoy the scale of the animals in relation to the city scape. 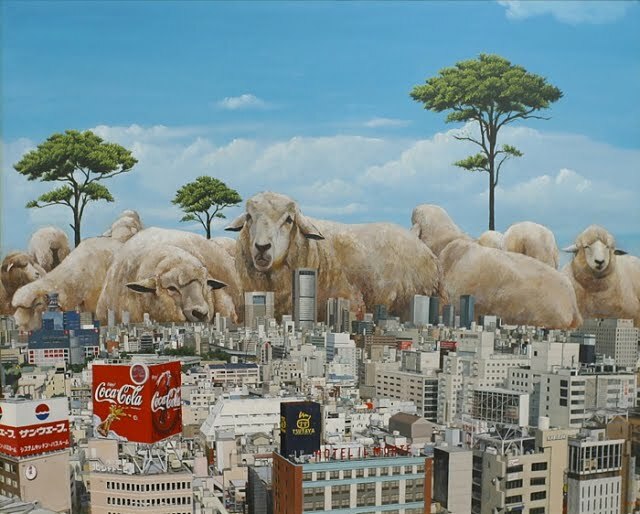 I think that the ones with multiple animals are more compelling than the ones without which is different from my series that general only have one animal in each shot.